Looking to back up your entire home, or more items than usual? 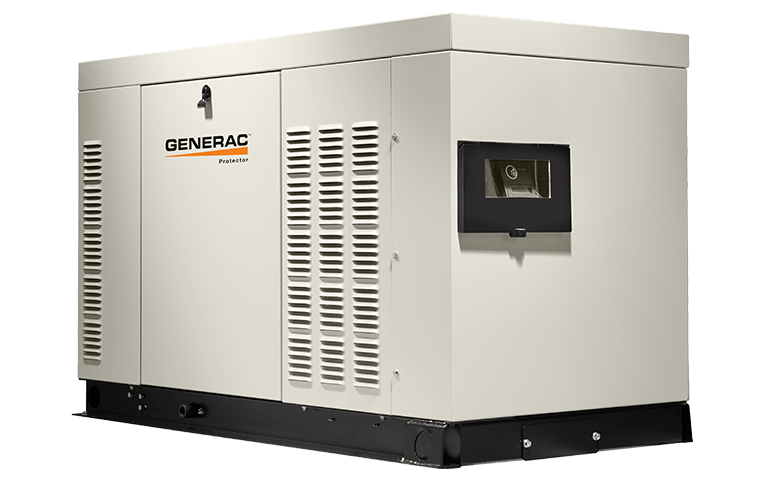 Consider the Protector Series gaseous automatic backup generator line. These units powers essential appliances and modern technologies during power outages, allowing homeowners and their families to continue living life comfortably and without interruption. 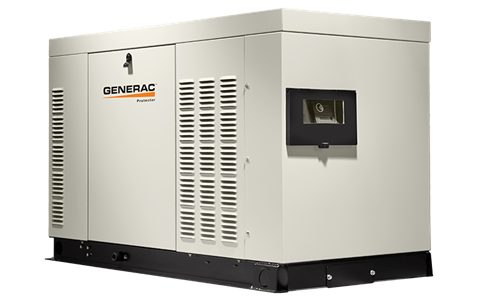 Generac's Protector Series offers benefits that competitors’ can’t match. Installation flexibility and cost reduction. Sophisticated, yet intuitive controls. Quiet operation. Supported by a 24/7/365 customer support team at our corporate headquarters, and a nationwide dealer network of more than 6,000 strong. Liquid Propane - Half Load 119 cu. ft. / hr. Liquid Propane - Full Load 172 cu. ft. / hr. Natural Gas - Half Load 320 cu. ft. / hr. Natural Gas - Full Load 492 cu. ft. / hr. 73 dB @ 23 ft. (7 m) operating at normal load.